Hello, and welcome to Wander The Map! Our names are Jenna and Micah and we are filmmakers and photographers who travel the world in search of outdoor and urban adventure. We’ve been traveling together since high school and call Minnesota, the “Land of 10K Lakes”, home. 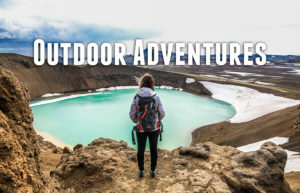 Our philosophy is that adventure is an outlook on life, and no matter how you define it, we want to inspire you to have a life full of adventure and happiness!